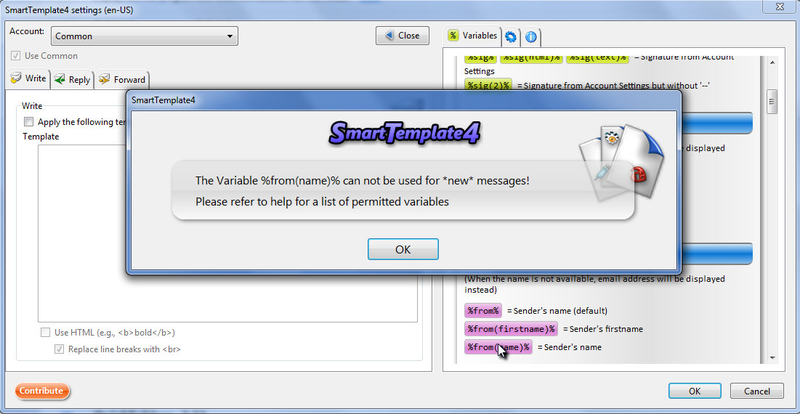 ATTENTION: In Version 0.9.2pre20 we have changed the design of SmartTemplate4 into a 2 box solution (for reply and forward cases ONLY) to improve support for Thunderbird's signature settings. 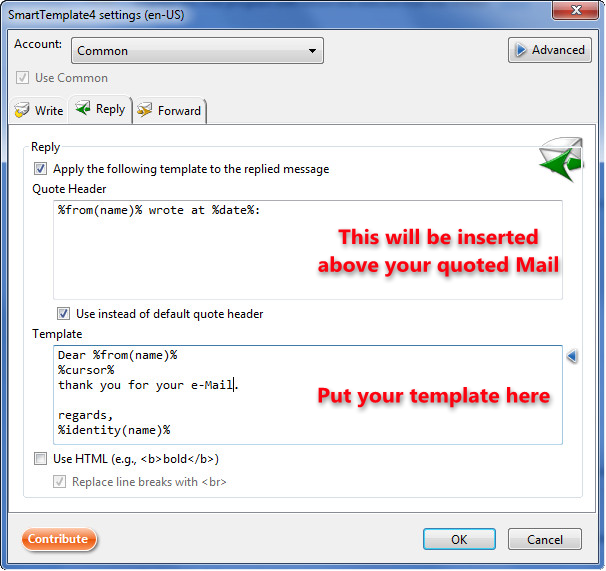 ATTENTION: Please make sure to put your Template in the Template box and your Header in the Quote Header box! The option "Use instead of default quote header" should be checked if you have your own Quote Header defined (otherwise you get two headers)! If you use %sig% or %sig(2)%, please put it into the Template section. 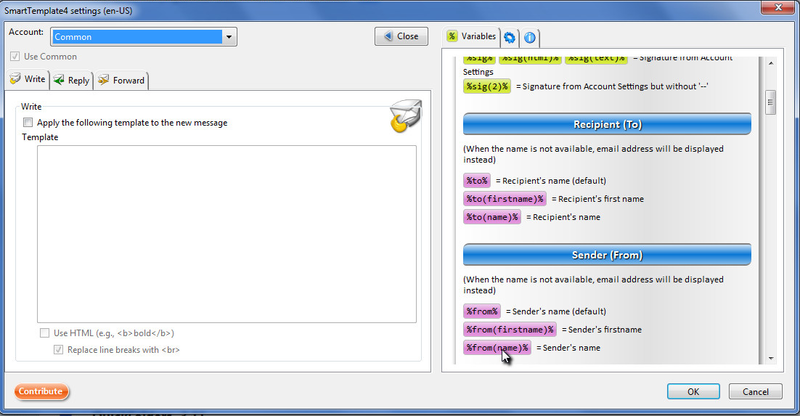 ATTENTION: In Version 0.9.1 we are taking the settings for Composition&Addressing as for Thunderbird. 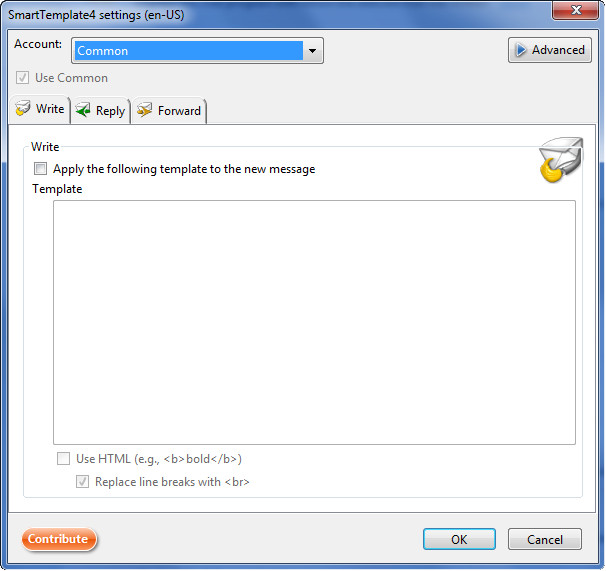 If you have an unusual placement of your Template, please check your settings as in the follow screenshot. 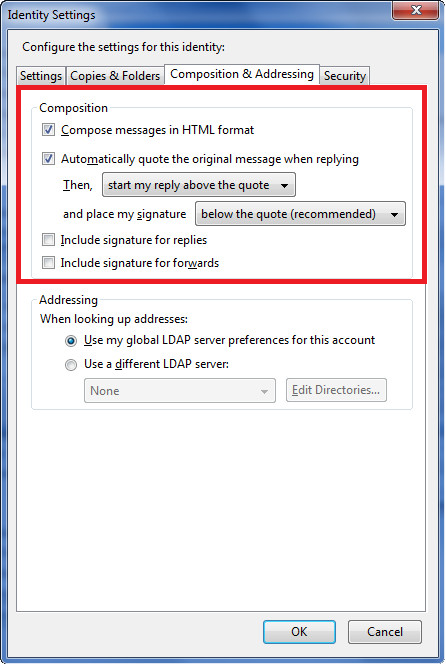 Especially "start my reply above the quote" and place my signature "below the quote (recommended)"
[Bug 25002]: SmartTemplate4 Signature file display 2 times?? ATTENTION: In Version 0.9.1 we have changed the design for the curled bracket expression and changed the internal Namespace. 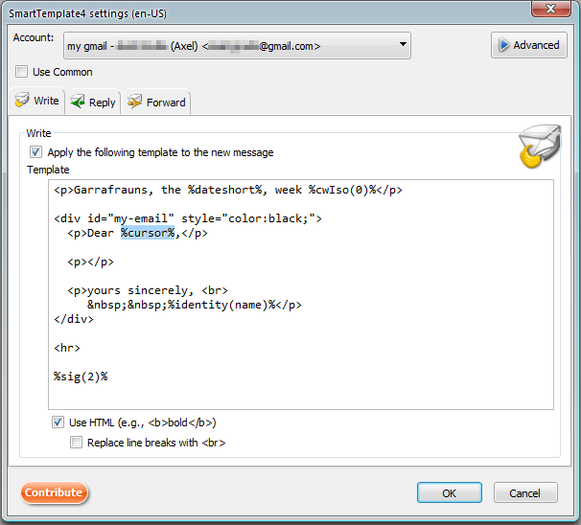 this converts your old Template to the new Design and copied to the new Namespace, otherwise you can't use your old Templates again! TIP: These settings apply to all accounts which do not have specific settings defined. 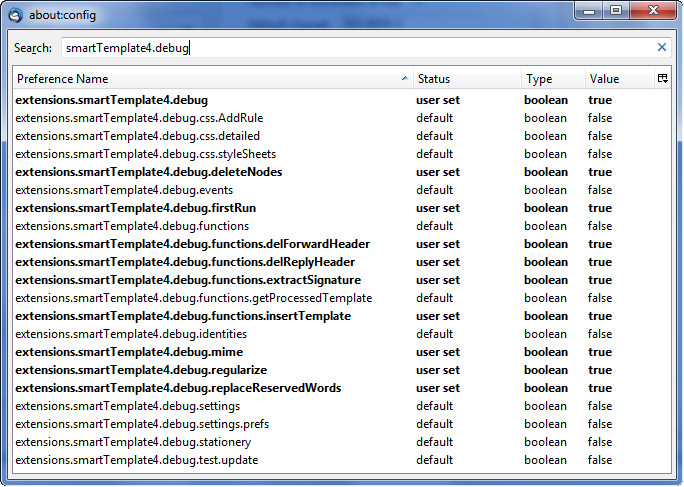 TIP: Right-clicking the 'Debug Mode' checkbox opens the advanced debug settings - these are by default deactivated. When you are reporting problems we might require you to activate certain ones via double click. TIP: Clicking the "Help Button" opens a help window - here you can select variables by clicking them. 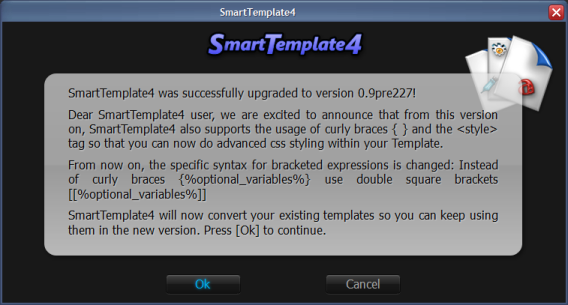 SmartTemplate4 will conveniently copy them into the currently edited template. Keyboard Focus is also moved back to the template so you can continue typing. Creating a template couldn't be easier! an alert will be shown should you chose one accidentally.